This week’s round up of the best sync licensed tracks in advertising features cool new music from Nescafe, a Spotify playlist made for a brand from Colcci, and a cover of David Bowie from Heineken. Racing legend Sir Jackie Stewart is bombarded with people offering him Heineken beer, in this quirky advert raising awareness for drink driving. But as he’s still driving, he politely refuses. The advert features a thrilling cover of David Bowie’s ‘Heroes’ by singer Nicole Atkins. Brazilian fashion brand Colcci teamed up with Spotify to bring music lovers and young people a sample of their latest collection. The idea is that as young people listen to their favourite Brazilian DJs, they will see branded content, in the form of album covers. The collection also features supermodel Gisele Bundchen. For this preview advert, the sync licensed track is just one of the songs available on the branded playlist. Artist and producer will.i.am reinvents Otis Redding’s classic song ‘(Sittin’ On) The Dock of the Bay)’ in this energetic advert for Nescafe coffee. 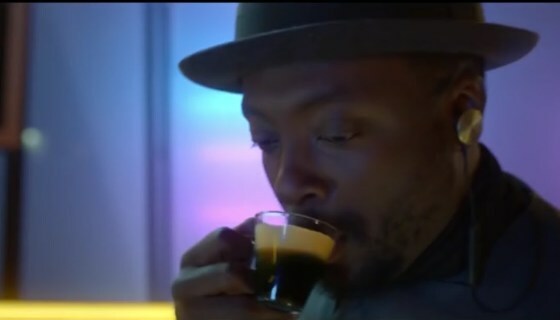 The advert sees will.i.am reinvent the classic, in the same way Nescafe hopes to reinvent coffee. Together with the music, the coffee is also produced, like a record. The sync licensed track, with the help of will.i.am, offers an upbeat take on the brand.